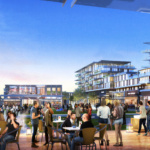 A judge has ruled that CityPlace, a long-stalled mixed-use development slated for a former municipal landfill site adjacent to the new Levi’s football stadium in Santa Clara, California, can finally head toward construction, despite vocal opposition from the neighboring city of San Jose. 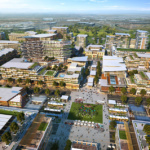 The $5.6-billion project is being developed by Related Companies and is designed by RTKL and Elkus Manfredi Architects as a mixed-use transit-oriented development populated with offices, storefronts, housing, and green spaces. 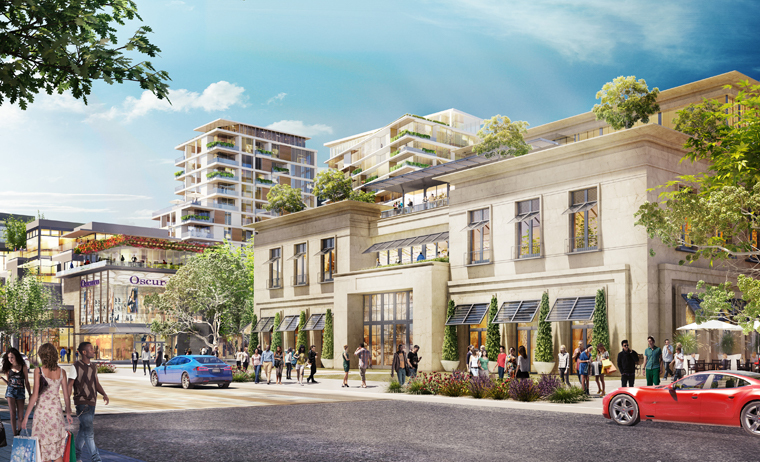 However, the project has been caught up in a lawsuit for months over objections from San Jose officials regarding the relatively small amount of housing available in the plans for the development, Mercury News reports. 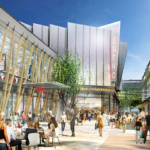 The 240-acre complex is expected to bring 5.4 million square feet of offices, 1.1 million square feet of retail, a 700-key hotel, 250,000 square feet of “food and beverage,” and 190,000 square feet of entertainment uses to the area. 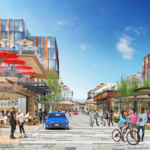 The project is also estimated to generate over 25,000 jobs, but will only provide 1,680 residential units to house those potential workers, and the arrangement has San Jose officials worried that their housing-strapped city will be left housing the remaining workforce. 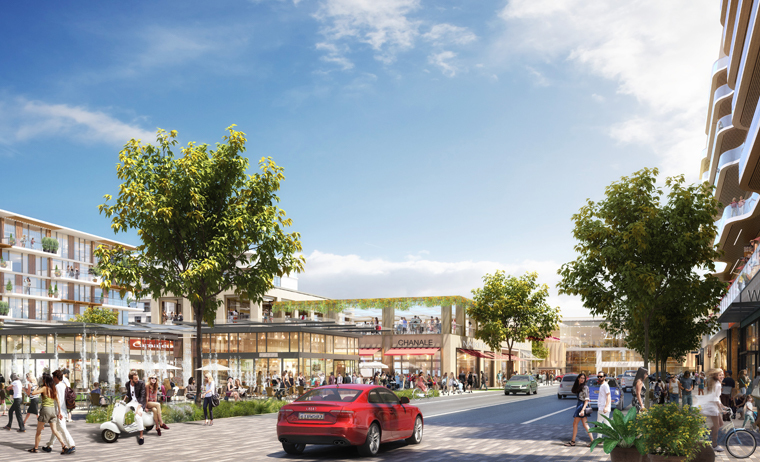 The mixed-use development could rework the image of Santa Clara as a sleepy residential area by infusing the town with mixed-density housing, offices, and commercial spaces. 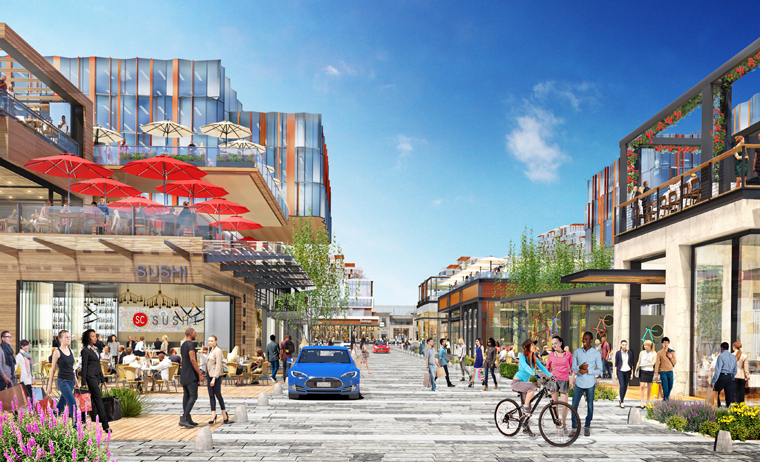 As is consistently the case in California due to Proposition 13—a 1970s-era initiative that caps property taxes on homes—smaller municipalities like Santa Clara are disincentivized from producing and approving housing-heavy developments in lieu of more lucrative commercial and office projects. 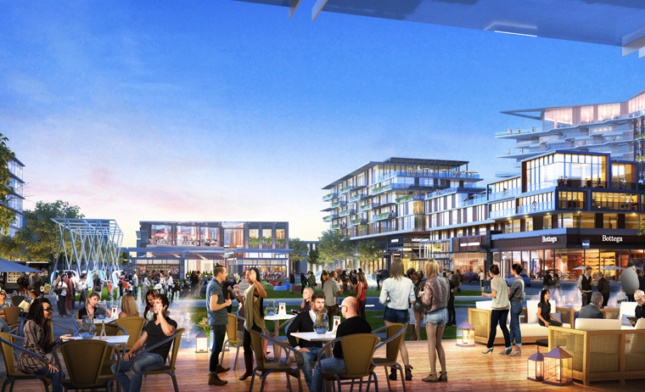 The end result—as is evident across Silicon Valley—is that many projects are designed with little to no housing, an arrangement that, aside from limiting more environmentally-benign mixed-use development, has fueled the state’s ongoing housing crisis. 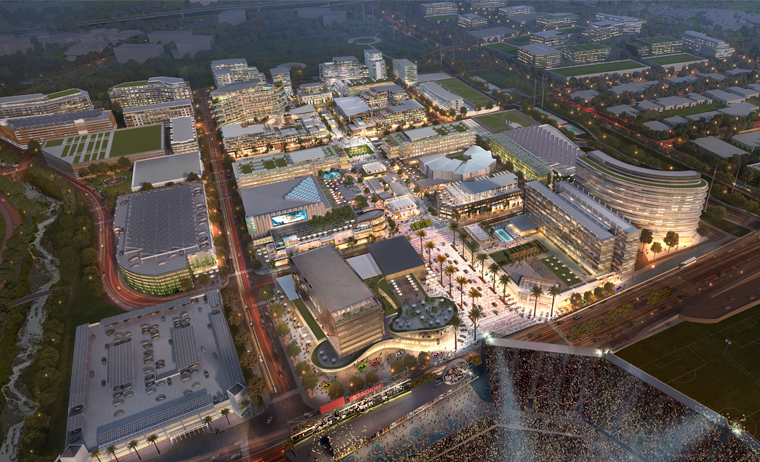 View of commercial and entertainment areas proposed for City Place. 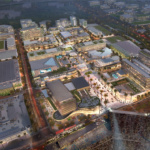 With CityPlace, San Jose city officials are worried the new jobs-heavy development will tax existing schools, streets, and other public infrastructure with new residents, while simultaneously adding to the pool of people who work in the area but cannot find a place live nearby. 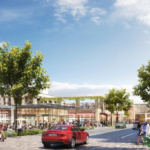 The Environmental Impact Report for the 9.2 million-square-foot project, however, looked into these concerns and was approved by the Santa Clara City Council in 2016 nonetheless, after completion of a California Environmental Quality Act (CEQA) review by state regulators. 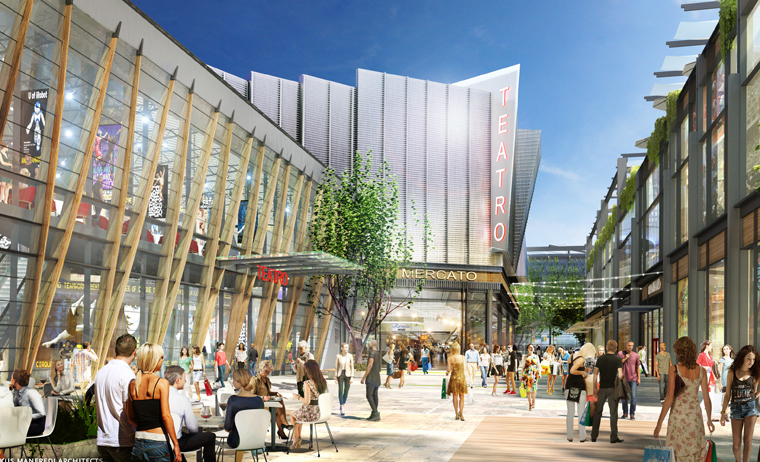 The judge’s ruling cited these approvals as reason for the project to continue to move forward. 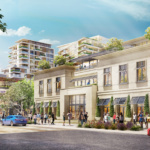 The project is among the largest new developments on the west coast and is among several densification projects slated for the region surrounding San Francisco. If built according to the current timeline, the first phase of the project will begin construction in 2019 and finish around 2022. 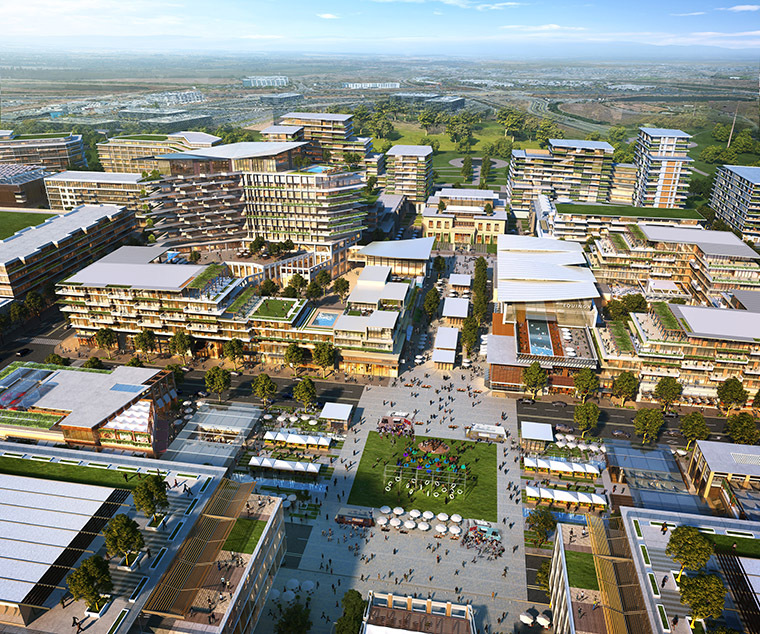 Later phases would be built over the following five- to 10-years, depending on market conditions.